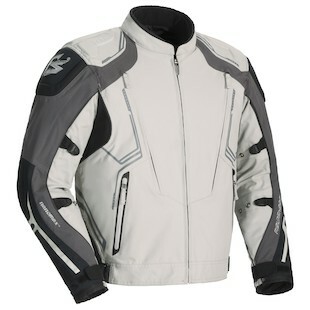 A notable trilogy from Fieldsheer, the Supersport, Shadow, and Sugo jackets cover a variety of riders and riding styles. All based from the same general chassis, but finished differently, with specific advantages and unique styling, these three picks should give you an easy option as the weather turns colder. 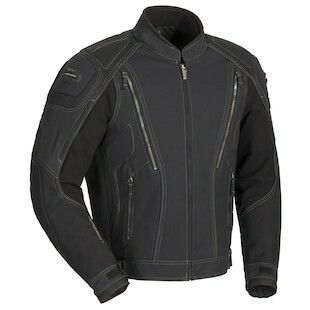 For the R1, CBR1000, ZX1R crowd, the Fieldsheer Supersport Jacket fits an aggressive riding style, allowing for added flexibility in the arms and shoulders with accordion stretch panels. As you'll also find with the following two, each of these jackets has a two-stage liner system that provides both waterproofing and insulation. 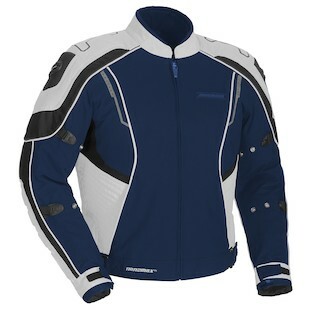 Large vertical zippers on the front and rear allow for plenty of airflow and expansion gussets under the arms also breathe for ventilation where you need it. Next in line, the Fieldsheer Shadow Jacket uses more classic styling lines to express a similar purpose. As with the other two mentioned here, these jackets use a 500D Maxtena-Pro shell and are reinforced in the impact areas with a whopping 1680D ballistic panel overlay. The Shadow also sports SP memory foam in addition to its CE-rated armor, a step up from the Supersport. The devil is in the details, with micro fleece padding in the collar and reflective Phoslite piping. The Fieldsheer Sugo Jacket is my favorite of the three, mostly because of the technical fashion statement it makes. Its essentially a carbon copy of the Shadow, but amped up on energy drinks and Tron light cycles. Pockets galore, this one has seven! All of the above attach nicely to Fieldsheer pants with an 8" zipper or a snap belt connector for jeans. Veni, Vidi, Vici; Supersport, Shadow, Sugo. If you can't find one that suits your riding style, you are likely blind (and therefore shouldn't be on two wheels!). The best part? They all come in sub $300. Keep those dolla' dolla' billz in your pants for another day.